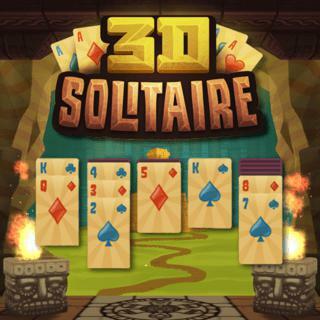 Immerse yourself in this classic solitaire card game featuring stunning 3D graphics! Set in a mysterious ancient temple, your task is to move all cards onto the four foundation piles, sorted by suit and rank in ascending order from Ace to King. On the field, cards can only be sorted in descending order alternating colors. Choose between two card designs, a 1 and 3 card mode and the position of your deck for your convenience. Can you achieve a high score? Welcome to our famobilicious HTML 5 cross-device game catalog. Here you can find more than 300 non-exclusive and exclusive licensed HTML5 games, reviewed, categorized and hand-picked for every taste. Feel free to browse through our games created by developers from all around the world. If you like 3D Solitaire games, you should check out the other games from our famobilicious game catalog. Do you need help? Why don't you check out our Help & Support category and see if your questions and problems can be solved.